About 16 million Americans experience a major depression each year, and at any given time about one in ten adults is taking antidepressants. It’s very difficult to go through a major depression, and it’s natural to want relief as soon as possible. If things don’t seem to be going better after a few weeks, though, it’s important not to be discouraged. A particular treatment usually needs to be given 6-12 weeks to fully determine its benefits. In one major study, those who ultimately got substantially better did so by week seven. Opinions differ on exactly how and when to determine if changes need to be made. Many factors need to be considered, for instance, whether there has been no improvement at all, or whether things have gotten only a little better. Some general guidelines that are often used: If there is no sign of improvement after four weeks, it is usually time to increase the dose. If a person is not responding after then being on a high dose for 4-6 weeks, it is unlikely that things will get better unless changes are made. It’s at that point (or sometimes earlier) that alternative medicines and strategies might be considered. Before doing that, though, it’s best to go back to the beginning and reconsider the original situation, the possible presence of medical illnesses and other factors. First, it’s a good idea to work with the doctor to look for other possible contributors to the depression. Many medications can be culprits. Among these can be hormones such as prednisone and cortisone, as well as some medications for anxiety, acid reflux, antivirals and blood pressure. If this turns out to be the case, it’s important not to stop the medicine, but rather to discuss it with the doctor. Similarly, there are a number of medical conditions that are associated with depression. Among these are hypothyroidism, infections such as Lyme disease and hepatitis, and chronic anemia. Finally, some sleep disorders such as obstructive sleep apnea and restless legs syndrome are associated with depression. In all these cases, finding and treating such medical conditions is an important part of managing depression. If these conditions are ruled out, your doctor may consider a number of medicine strategies. These include changes in dose, adding or changing antidepressants, or using one of several medicines in what is known as adjunctive therapy—giving medicines which ‘make the antidepressant work harder ’. Finally, there are other strategies to consider besides medications. One of these is psychotherapy. Two forms of therapy which have been shown to be particularly helpful are known as cognitive behavioral therapy and interpersonal therapy. Both are time-limited, often lasting 3-4 months, and have been shown to be as effective as medicines in mild to moderate depression. Additionally, a non-medicine procedure known as transcranial magnetic stimulation is available to persons who have not benefitted from medication. In this technique, a person sits in a comfortable chair for about an hour, while electromagnets are placed next to the head. This is usually done over a period of 4-6 weeks, and often can provide improvement in symptoms, although usually taking several weeks to fully appear. The important thing to remember is not to get discouraged. There are many options out there, and learning about them is the first step in making good choices in partnership with a doctor. 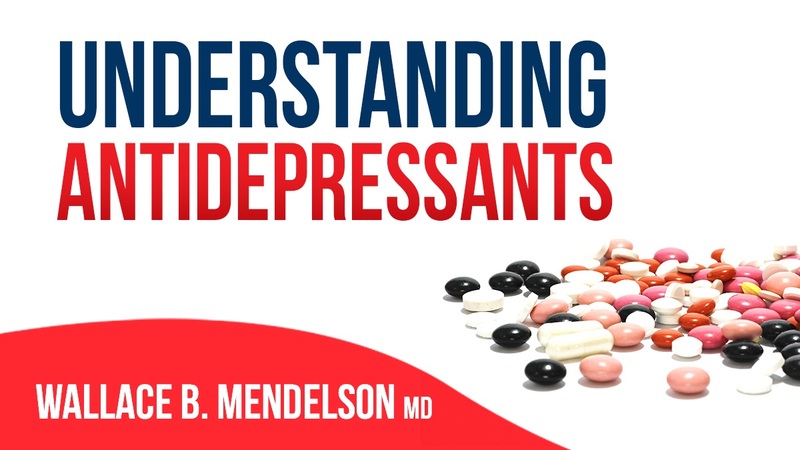 Wallace B. Mendelson MD is a Professor of Psychiatry and Clinical Pharmacology (ret) at the University of Chicago, and a Distinguished Fellow of the American Psychiatric Association. He has authored several books and numerous scientific papers. 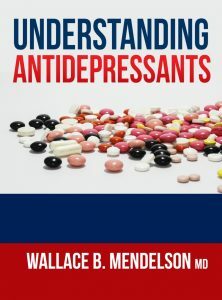 His most recent book, Understanding Antidepressants (available on Amazon), Mendelson explores the many treatments for depression, and shows that understanding how antidepressants work can help in making better decisions. 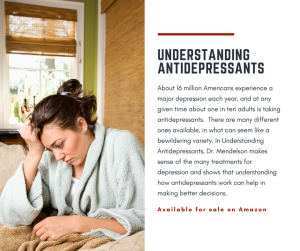 Written with both scientific rigor and compassion, Understanding Antidepressants is a useful guide for anyone suffering from depression, as well as their families. It is written broadly enough to be a helpful introduction for students and trainees, and mental health workers with non-technical backgrounds who wish to learn more about these commonly used medications. To learn more, go to https://www.zhibit.org/WallaceMendelson.